A great number of famous people visited Pula throughout its three thousand-year-old history. From Dante Alighieri, Michelangelo Buonarroti, Napoleon, James Joyce, to Elizabeth Taylor, Sofia Loren, Richard Burton, Nastassja Kinski, Sting, Luciano Pavarotti, Jose Carreras, Andrea Boccelli, Placido Domingo, Paco de Lucia… and many, many others. But, Pula is also proud of several other eminent people who were born in this city, even though some of them didn’t live here long. The following text brings information on these Pula-born citizens. 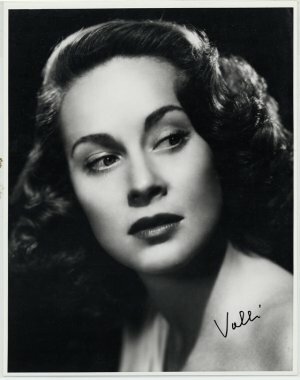 Alida Valli, full name Alida Maria Laura von Altenburger, was born in Pula in 1921 and moved to Rome at the age of 15 where she attended the school for film artists and directors. Alida Valli’s popularity is best illustrated by the sentence dating from 2006 when she passed away. The office of Rome’s mayor Walter Veltroni, informing about her death, stated that Italian film had lost one of its most expressive and most remarkable faces. On such an occasion the Italian president, Carlo Azgelio Ciampi, also referred to her death as a tragic loss for the cinema, theater and Italian culture. Today the newly reconstructed cinema bears the name of this famous Pula-born actress. The name is simply Cinema Valli – in honor of this great star. Sergio Endrigo, one of the most well-known Italian songwriter-singers, whose songs, even five years after his death, are still played on Italian radio stations, was born in Pula in 1933. He was the son of Romeo Endrigo, Pula’s stone-mason and self taught painter and sculptor, whose many works adorn different corners of Pula, and mother Claudia Smareglia. On his official site, Sergio Endrigo said that he saw his father’s works, many of which are at the cemetery in Pula, in 1963 when he visited Pula with his wife. At the age of 14, Sergio together with his mother, left Pula and moved to Italy. He sang about this journey by ship “Toscana” in his popular song “L’ arca di Noe”, whereas the nostalgia for his hometown is best expressed in “Scende la notte”. Sergio Endrigo is one of the pioneers of modern Italian ballads, world-known songwriter-singer and chansonnier who greatly influenced Arsen Dedić. Thanks to him, Sergio visited Pula once again in 1990. The sculpture Noah’s Arc stands in one of Pula’s parks close to the Arena, as a reminder of this great Pula-born musician, winner of many prizes at the popular Sanremo music festival. The renowned Istrian composer Antonio Smareglia was born in Pula in 1854 near the central square Forum. The street was then called Via Nettuno, whereas the present address is Augustov prolaz 3. In 2004 the composer’s memorial room was opened in this house. Although he traveled to many countries, Smareglia never forgot Istria, and always returned to his native town, both Pula and Vodnjan where his father was born, or Fažana to a villa that does not exist anymore. He called this villa Oceania after his famous opera. His works were performed in Milan, Paris, New York, Dresden, Trieste, Venice, Vienna, Prague , Novara, Turin, Rome, Ljubljana, Udine… and of course in theaters throughout Croatia. Antonio Smareglia died in 1929. Antun Motika, one of the most significant Croatian painters was born in Pula in 1902 in a family of winemakers and died in Zagreb in 1992 at the age of 90. His mother devoted great attention to her children’s education. The family moved a lot so he was educated in three languages of the Austro-Hungarian Monarchy – German, Croatian and Italian, among other places in the well-known Pazin Gymnasium. He was already then called Il Pitore (The Artist) by his colleagues since he drew caricatures and experimented. When he moved to Sušak in 1919 he became seriously engaged in sculpture and painting in the atelier of Rudolf Matković. In the early thirties he went to Paris where he was influenced by the works of Picasso and Matisse. For some time he lived in the atelier with Željko Hegedušić, Edo Kovačević and Vanja Radauš. Later, he often mentioned in his notes that Picasso’s work greatly influenced his studies and sculptures. In 2006 Motika’s descendents donated his works to the City of Pula. While his works are waiting for a permanent exhibition area, they are presently presented in selected cycles at the Town Gallery in Kandlerova Street.